Have the Interim Statements provided useful information to investors? Tuesday 19 November was the deadline for the publication of the Interim Directors’ Statements as this is precisely 6 weeks before the end of December. Since most companies whose equity is listed on the Malta Stock Exchange close their financial year in December, many announcements were issued in recent weeks. The Listing Rules of the Malta Financial Services Authority do not stipulate the extent of the information to be provided but simply indicate that a company must issue such statements twice a year to provide an explanation of “material events and transactions that have taken place during the relevant period and their impact on the financial position of the issuer and its controlled undertakings, as well as a general description of the financial position and performance of the issuer and its controlled undertakings during the relevant period”. In recent years, most companies have provided additional information in such semi-annual directors’ statements and it has therefore become very important for investors and market participants to analyse each announcement as these provide a clear indication on the performance one should expect during the current financial year in addition to the short-term outlook. 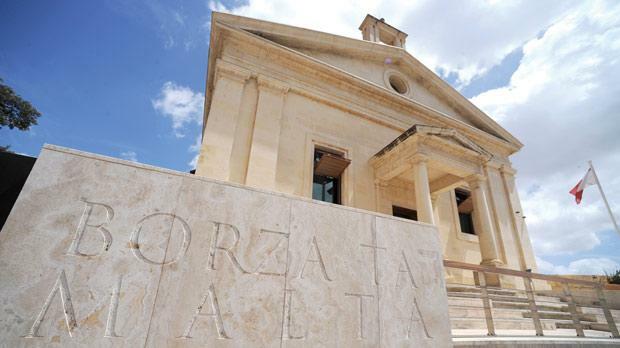 It is not surprising that two retail banks, HSBC Bank Malta plc and Lombard Bank Malta plc, again indicated that profits are declining due to pressure on net interest income arising from the low interest rate environment while regulatory costs are increasing. HSBC also highlighted that impairments are on the rise but the bank failed to confirm the under-provisioning of €30 million indicated in the Asset Quality Review recently completed by the European Central Bank. Investors would therefore need to await the publication of the 2014 full-year results next February for an explanation from HSBC on how this figure was arrived at and the impact it may have on the future financial performance of the bank. Meanwhile, Lombard stated that new regulatory requirements may result in “some technical downgrading of facilities, notwithstanding that in substance the underlying quality remains sound”. On the other hand, Lombard revealed that MaltaPost’s financial performance is expected to improve. Lombard owns just under 70% of the postal company and the full-year financial statements to 30 September 2014 will be published on 9 December. The most bullish statements undoubtedly came from RS2 Software plc and Medserv plc. RS2 explained that it continued to generate a strong operating and financial performance, for both the software licensing and managed services businesses. Most notably, the company reported that it is in the process of negotiating a new licence deal with a client in Europe and this is expected to be concluded during the first quarter of 2015. Furthermore, it is negotiating new letters of intent to provide services to clients within Europe and North America reflecting the increasing demand for RS2’s managed services. RS2 claimed that it continues to hold a very strong pipeline of potential clients and if many of these requests are converted into contracts in the coming years, RS2’s financial performance should be positively impacted. Given the nature of this fast growing company, investors would require an indication of the financial benefits when any of these contracts are confirmed so as to be in a position to understand the potential financial performance in the years ahead. Medserv confirmed that it experienced a rise in activity at both bases in Malta and Cyprus as all contracts announced in the first half of the year have commenced, namely those for the Malta base with two international oil companies and the ENI (Cyprus) contract for the exclusive use of the base in Larnaca. Since Medserv recently issued bonds and the MFSA Listing Policies require such companies to publish financial forecasts in the Financial Analysis Summary, the market is aware of the company’s expectations for this year. In fact, in April 2014, Medserv had announced that it expected to generate revenue of €14.2 million, EBITDA of €4.4 million and pre-tax profits of €2.2 million. Medserv again confirmed that it should achieve its profitability objective for 2014. More importantly, the company announced that it signed a tripartite agreement with a leading international oil company and a leading rig operator to support activity offshore Libya and further agreements have been signed with other leading international service companies, representing supply vessel support, mud mixing, procurement and local representation. Medserv reported that it is also expecting its strong performance to continue into 2015 and as such, investors would not only be keen to verify the 2014 financial performance in the coming months but would be more interested in the 2015 projections which need to be disclosed to the public by 30 June 2015 at the latest. On the other hand, the most worrying announcement was from FIMBank plc as it revealed that the improved performance of the main entities across the Group is being offset by non-quantified impairments. FIMBank described the impairment situation as “materially challenging” which implies some further disappointing news for shareholders in the months ahead. Moreover, FIMBank described the immediate outlook as “difficult and negative” although the backing of the major shareholders – Burgan Bank SAK of Kuwait and United Gulf Bank BSC of Bahrain – is encouraging and this is important for the institution given the challenging conditions it is facing. The companies in the property sector, Plaza Centres plc, Tigne Mall plc and Malita Investments plc, again confirmed strong occupancy levels which should continue to assist all companies to continue paying attractive dividends to its shareholders. Another property development company, MIDI plc, re-iterated that it will be registering an operating loss for the financial year ended 31 December 2014 but the company will return to profits in 2015 due to the delivery of the 39 new apartments branded Q1. Furthermore, the sales launch of the last residential block on Tigne Point (Q2) comprising 60 apartments and a commercial offering on the ground floor which is currently under construction, is expected during 2015. MIDI also announced that “it has engaged in discussions with a number of prospective investors” for Manoel Island. Following the announcements earlier this year, there seems to have been some progress in this respect. Malta International Airport plc indicated that passenger movements during the last two months of the year are expected to be similar to that of 2013. Following the 6.7% increase between January and October 2014, the airport operator should register a growth of at least 5.9% in passenger movements which is well ahead of the last forecast of +4.2% provided in July. Naturally, this will lead to an improved financial performance and MIA stated that the financial results for 2014 are expected to be better than the projections made at the beginning of the year and higher than the actual results of 2013 when the company had generated pre-tax profits of €22.7 million. International Hotel Investments plc, which recently lost its ranking as the third largest company on the MSE following the sharp decline in its share price, confirmed that while the performance of all hotels improved over last year, understandably the hotels in Tripoli and St.Petersburg were negatively impacted by the geo-political unrest in the respective regions. Although IHI did not clearly indicate what the overall impact would be on the financial performance of the entire Group, given that the hotels in Russia and Libya contributed over 35% of total revenue in 2013, the reduced performance by these two properties could very possibly lead to an overall decline in revenue and EBITDA since they will offset the higher contribution from the other properties. The Financial Analysis Summary published in August 2014 projected Group revenue of €119.9 million for 2014 and EBITDA of €30.5 million (-12.8% from the previous year). Shareholders would therefore be keen to see whether such forecasts for 2014 published in August may be achieved and more importantly whether the 2015 projections of revenue rising to €128.4 million and EBITDA growing to €37 million is still realistic given the challenging conditions in two important markets for the Group. On its part, no major additional information was given by GO plc. While it is encouraging to note that similar to the trend in the first half of 2014, the Group continued to generate healthy levels of profitability and cash generation, the market eagerly awaits news from Forthnet. During the summer months, Forthnet had been the subject of a number of company announcements revealing that the Greek incumbent operator OTE is interested in acquiring the pay-tv business of Forthnet while Vodafone and Wind (which together jointly own almost 40% of Forthnet), are interested in acquiring the remaining shareholding of Forthnet. GO confirmed that Forthnet’s management is currently evaluating both options and hopefully some further developments will be announced shortly to resolve this long outstanding issue. The announcements published in recent weeks clearly show that most companies are resorting to more detailed information. It would therefore be beneficial for investors to scrutinise these carefully as they provide valuable information on the outlook and expected financial performance in the near term and hence the ability to pay dividends to shareholders. While these announcements are proving to be useful, the fast growing companies need to additionally publish financial estimates to assist investors in their decision-making process.